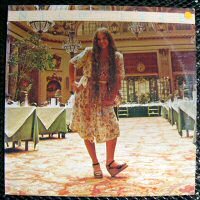 White Label Wednesday: Nicolette Larson, "Lotta Love"
However, Nicolette Larsonâ€™s version of â€œLotta Love,â€ 30-some years after she recorded it, has forever changed the way I feel about Neil Young and his approach to songwriting. The Web has not been very forthcoming when it comes to confirming this, but I recently stumbled upon an awesome quote associated to Neil Young about how songs should be treated like houses that anyone can live in. If only the songwriter can relate to a song, then how can anyone else enjoy the experience of listening to it? Songs are for everyone, and the more universal the theme, the more relatable, and homey, it is. Larson, the Jim Keltner of session singers in the â€˜70s and runner-up in the Crystal Gayle Hair-Off, allegedly found “Lotta Love” on a cassette while riding in Youngâ€™s car. He said, â€œYou want it?â€ He apparently didnâ€™t have much use for it, but Larson thought it would be perfect for her 1978 debut solo album, the succinctly titled Nicolette. She was right; the song climbed to #8 on the Top 40 and #1 on the AC chart. â€œLotta Love,â€ as sung by Larson, is one of the coziest houses youâ€™ll ever set foot in. And, true to 1978 form, Warners issued a disco mix of the track. The mix doesnâ€™t stray from the songâ€™s inherent awesomeness — indeed, itâ€™s a good blend of amped-up rhythm section and west-coast bliss — though it does open with a fleshed-out flute solo, baby! Letâ€™s see Felix da Housecat pull a stunt like that. Otherwise, the mix is pretty much identical to the album version. Some DJs must have been clamoring for a longer intro to mix the song in, and they got it. Along with some extra flautism.